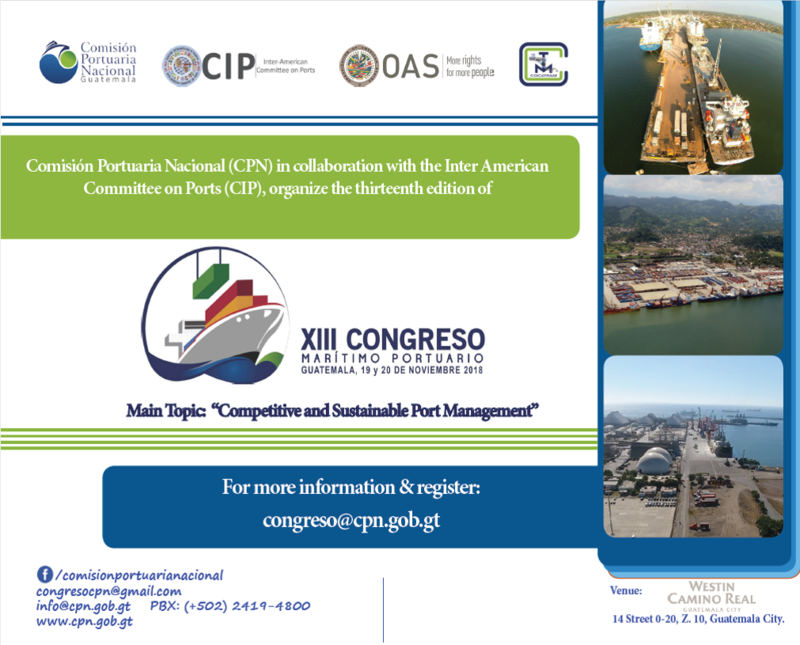 The National Port Commission of Guatemala (CPN) and the Inter-American Committee on Ports (CIP) of the Organization of American States (OAS) are organizing the thirteenth edition of the MARITIME PORT CONGRESS, a high-level international event, unique in its kind to be held on November 19 and 20, 2018. The Congress offers a space for discussion, updating, projection and commercial exchange in the port and maritime sectors. It will bring together experts of recognized trajectory and high professional profile, who will share their experience and knowledge for the benefit of the participants. We expect to have the participation of National Port Authorities as well as public and private sector firms related to maritime and foreign trade. In addition, there will be an exhibition hall with stands to facilitate and promote the linkage and strengthening of commercial ties between the members of the port community and related service companies.